Hi friends! 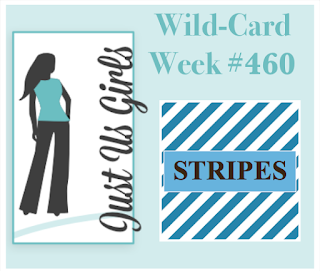 It's Wild Card Week over at Just Us Girls and Angie chose to use stripes on our creations. So many ways to use them! I pulled out a few new stamps sets for this card. I stamped the flower in black ink, then stamped it in aquatini and twilight inks. The leaves were stamped in eucalyptus. I die cut the flower and leaves with coordinating dies. The striped background was stamped with the same twilight ink. The flower was added with dimensionals and the leaves were glued right to the base. I stamped the sentiment in black ink and added crystals. 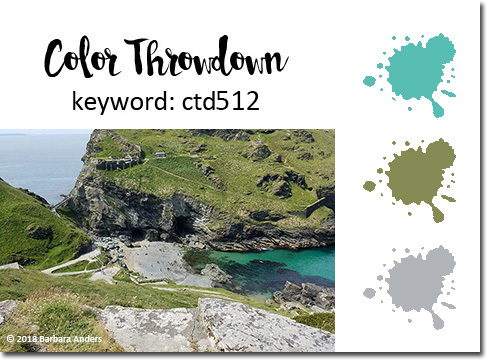 I got my color combination from this week's Color Throwdown challenge. You can see more inspiration from the JUGs design team and our September guest on the JUGs blog. Excellent card - colors? check! stripes? check! fabulous coloring? check! 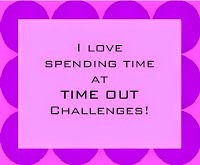 :) I adore this card! I'm pinning it. 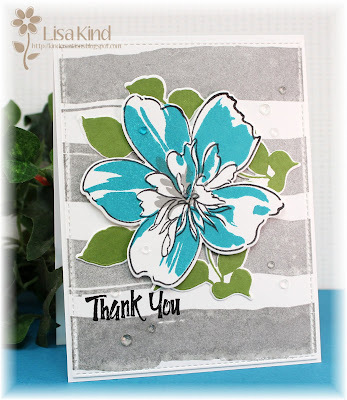 Beautiful card - so pretty! Love those stripes!!! Love that bold background Lisa! 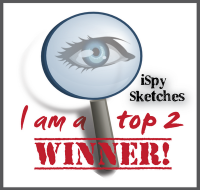 Your card appears to be inspired by your amazing trip! Such a tropical feel to it! I love those wide irregular stripes, Lisa. The flower is such a great focal point. 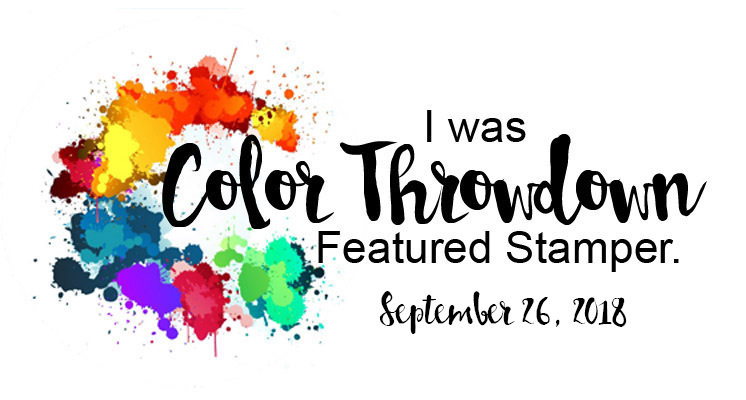 Great interpretation of these colours, Lisa! I love the way everything fits in harmonious balance with this beauty! What a stunning card Lisa. Love the background and that flower is really beautiful. Nice touch with the crystals. This is amazing! 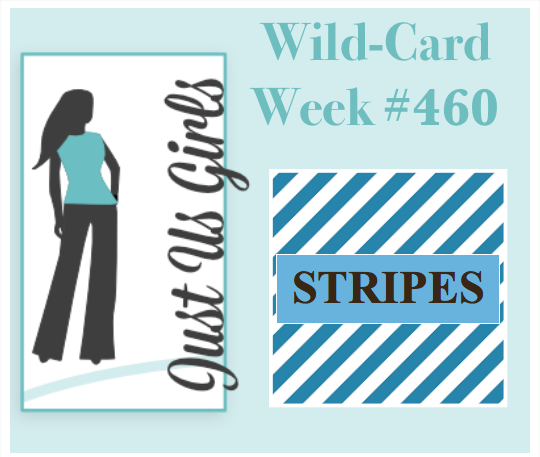 I love the choice of colors and that cool striped background. As always, the perfect addition and placement of the clear dots!